Look like the most heavenly creature on the planet with the help of Blue Angelic Halloween Coloured Prescription Contact Lenses in 90 Day. 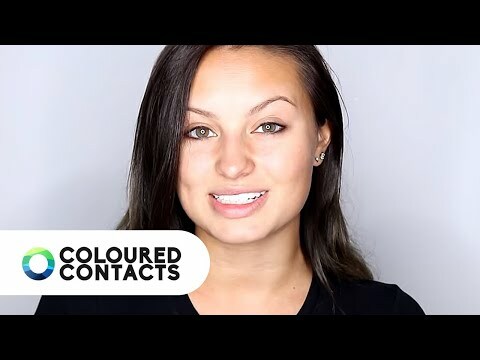 Full colour contact lenses are opaque and feature solid, block colour designs. The block colouration on these non-transparent styles is the best way to cover darker eye colours. There is something magical about piercing blue eyes and these Blue Angelic Coloured Prescription Contact Lenses are no exception. The light blue lenses are sure to step up your cosplay game and the black limbal ring is sure to give your eyes a dazzling effect perfect for recreating your favourite anime or film character. These are perfect for costumes but can also make a fun everyday change - especially if you love nothing more than dressing in bright, alternative styles. Leave your glasses behind for the day and enjoy showing off your eyes with the Blue Angelic Prescription Contact Lenses. Choose your exact prescription for clear vision.